Super Eagles midfielder, Kelechi Iheanacho scored a magnificent goal as Nigeria defeated the Taifa Stars of Tanzania 1-0 in Saturday’s 2017 Africa Cup of Nations at the Akwa Ibom International Stadium. The encounter which has no significant impact in the group considering the fact that Egypt have already won the sole ticket for the bi-annual tournament, saw Nigeria dominating possession for the entire part of the match but couldn’t convert some of the glaring goal scoring chances that came their way. Most culpable was Odion Ighalo and Iheanacho who failed to open the floodgate of goals in the first half as their attempted shot went wide the post. However, in the 77th minute, Iheanacho gave the fans something to cheer about with a spectacular shot that went straight into the back of the Tanzania’s net for Nigeria’s only goal of the game. 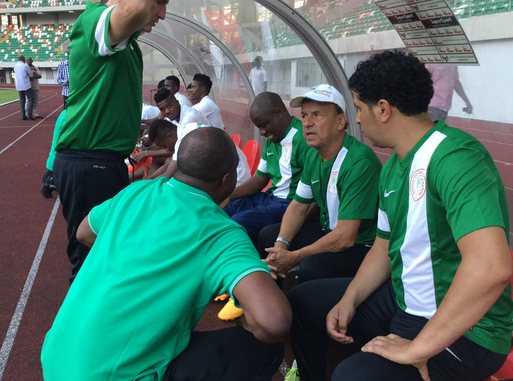 The victory was Super Eagles coach, Genort Rohr’s first since been appointed by the Nigeria Football Federation in August. It will be something of delight to him ahead of October World Cup clash against Zambia in Lusaka.